Over the last years there have been more and more reports that the independence of the judiciary in Sri Lanka has been under pressure. Judges who took decisions that were not politically expedient had a difficult time. This cumulated into the dismissal in January 2013 of the Chief Justice of the Sri Lankan Supreme Court, Mrs. Bandaranayake. This dismissal was politically motivated. She was replaced by Mohan Peiris, who had very close links with the political leadership at the time. This was reason for Judges for Judges to concern ourselves with the fate of our fellow-judges in Sri Lanka. In an open letter dated January 23, 2013, signed by more than 50 (prominent) judges worldwide, including a number of Dutch judges, the International Commission of Jurists, labelled the dismissal as ‘illegal’. Los últimos años salían cada vez más noticias de que la independencia del poder judicial en Sri Lanka estaba bajo presión. Jueces que tomaban resoluciones que no estaban al grado de la política, se hallaban en una situación complicada. Una serie de cosas que en enero del 2013 ha acumulado en la destitución de la juez Bandaranayake, la juez suprema de la Corte Supremo esrilanqués. Esta destitución estaba motivada políticamente. Fue sustituida por Mohan Peiris, quien tenía estrechos vínculos con los líderes políticos de entonces. Razón para “Jueces para Jueces” de preocuparse por la suerte de nuestros colegas en Sri Lanka. Con una [carta abierta] del 23 de enero del 2013, firmada por más de cincuenta (ilustres) letrados de todo el mundo, entre ellos algunos jueces Neerlandeses, la Comisión Internacional de Juristas (CIJ) ha considerado esa destitución como “ilegal”. De afgelopen jaren waren er steeds meer berichten, dat de onafhankelijkheid van de rechterlijke macht in Sri Lanka onder druk stond. Rechters die beslissingen namen, die de politiek niet goed uitkwamen hadden het moeilijk. Een en ander is gecumuleerd in de afzetting in januari 2013 van de Chief Justice van de Sri Lankaanse Supreme Court, mevrouw Bandaranayake. Deze afzetting was politiek gemotiveerd. Zij werd vervangen door Mohan Peiris, die wel heel erg nauwe banden had met de politieke leiding van dat moment. Reden voor “Rechters voor Rechters” om zich het lot van onze vakgenoten in Sri Lanka aan te trekken. Met een open brief van 23 januari 2013 die werd ondertekend door ruim vijftig (prominente) juristen uit de hele wereld, waaronder ook een aantal Nederlandse rechters, heeft de International Commission of Jurists (ICJ) deze afzetting als “illegal” aangemerkt. 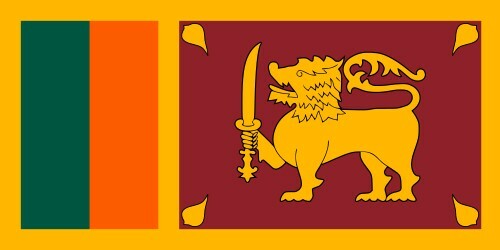 The International Bar Association’s Human Rights Institute (IBAHRI) and the ICJ urge the Commonwealth Heads of States meeting in Colombo this week to make Sri Lanka accountable to Commonwealth values. The IBAHRI and the ICJ recall that the Commonwealth Charter, passed in March 2012, sets out 16 core values, which include safeguarding the independence of the judiciary, protecting the rule of law, respecting the separation of powers and promoting democratic rule. But the two organizations point out numerous examples where these values have not been respected by the Government of Sri Lanka. The IBAHRI and the ICJ were holding a press conference in Bangkok Thailand today after a high-level IBAHRI delegation was blocked from entering Sri Lanka late last week to attend a conference on the rule of law and independence of the legal profession hosted by the Bar Association of Sri Lanka. In March 2013, an IBAHRI delegation undertook a remote rapid-response fact-finding mission to investigate the impeachment proceedings of Chief Justice Bandaranayake, the independence of the legal profession and the rule of law in Sri Lanka. The report, entitled A Crisis of Legitimacy: The Impeachment of Chief Justice Bandaranayake and the Erosion of the Rule of Law in Sri Lanka,concluded that the removal from office in Sri Lanka of Chief Justice Bandaranayake was unlawful, is undermining public confidence in the rule of law, and threatening to eviscerate the country’s judiciary as an independent guarantor of constitutional rights.The delegation found there to be a systematic effort to intimidate and discredit lawyers and others who advocate and promote respect for fundamental rights in Sri Lanka.The report made ten recommendations, addressed to the Sri Lankan authorities and to the UN, the Commonwealth Secretariat, the Commonwealth Ministerial Action Group and Member Countries of the Commonwealth the delegation. Today, senior judges and eminent jurists from around the world joined together, calling on the Government of Sri Lanka to reinstate the legal Chief Justice Dr Shirani Bandaranayake. An open letter issued by the Centre for the Independence of Judges and Lawyers of the International Commission of Jurists (ICJ) was sent to the Honorable Speaker of Parliament Chamal Rajapakse and H.E. President Mahinda Rajapakse, condemning the removal of Chief Justice Dr Shirani Bandaranayake as unconstitutional and in contravention of international standards on judicial independence. The letter emphasized that an independent and impartial judiciary is essential for the protection of human rights, the rule of law, good governance and democracy. The impeachment process, and subsequent removal of the legal Chief Justice disregarded international standards of judicial independence and minimum guarantees of due process and fair trial. “The Rajapakse Government has brought Sri Lanka within steps of authoritarian rule, dismantling the system of checks and balances and eviscerating judicial independence,” said Wilder Tayler, ICJ Secretary General. The appointment of former Attorney General Mohan Peiris as Sri Lanka’s new Chief Justice raises serious concerns about the future of the Rule of Law and accountability in the country, the ICJ said today. Mohan Peiris has served in a variety of high-level legal posts in the past decade, always playing a key role in defending the conduct of the Sri Lankan government. He served as Sri Lanka’s Attorney-General from 2009 to 2011. Since then he has served as the legal adviser to President Mahinda Rajapakse and the Cabinet. “During his tenure as Attorney-General and the government’s top legal advisor Mohan Peiris consistently blocked efforts to hold the government responsible for serious human rights violations and disregarded international law and standards,” said Sam Zarifi, ICJ’s Asia director. The ICJ condemned the decision of Sri Lanka’s parliament today to impeach the country’s Chief Justice, Shirani Bandaranayake. “Parliament’s impeachment motion has defied the rulings of the country’s Supreme Court and Court of Appeal, and thus thrown into chaos the entire system of checks and balances in the country,” said Sam Zarifi, ICJ’s Asia-Pacific director. The impeachment decision now goes to President Mahinda Rajapakse, who precipitated this crisis initially. Under Article 107 of the 1978 Constitution of Sri Lanka, a Chief Justice can only be removed by an order of the President after a motion supporting the removal is passed by a simple majority of Parliamentarians. Like the ICJ, the Bar Association of Sri Lanka (BASL) issued a statement strongly condemning the impeachment of Chief Justice Bandaranayake. Members of Sri Lanka’s Parliament should reject the impeachment motion to remove Chief Justice Shirani Bandaranayake, that will be put before Parliament on 10-11 January 2013, the ICJ said today. The ICJ call comes after a three-member panel of the Supreme Court, in a decision issued on 1 January 2013, ruled that the impeachment procedure in Parliament was not constitutionally valid, finding that such procedures could only be established ‘by law’ enacted by Parliament. The Standing Orders governing the current impeachment investigative process are not considered ‘law’ under the Constitution of Sri Lanka. The ICJ stresses that in a democratic society operating under the rule of law, the principle of judicial review is paramount and judges have the ultimate authority to determine what the law provides.